Ed Nolan, a senior vice president for workplace strategy at JLL, gives us an inside look at the first phase of the company’s Chicago headquarters refresh. Inspired to re-envision your workplace? At JLL, we are in the midst of our own major headquarters refresh in Chicago’s landmark Aon Center. Last month, we completed the first phase of this ambitious project, working with our partners at Gensler to unveil two newly reimagined floors that put into action all of the workplace strategy advice we provide to our clients. When complete in spring 2017, JLL’s revitalized headquarters will exude connection, choice, and agility. And it won’t be simply because of open layouts, cutting edge-technology and trendy lounge areas — although those will all play a role, too. In this time of warp-speed technological and social change, we know the needs and values of our multi-generational workforce are rapidly evolving. Today, workers of all ages crave work environments that support mobility, provide a choice of workspaces and foster a deep sense of connection. 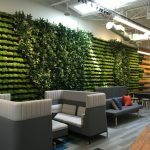 To fulfill that craving, we have embarked upon our 200,000-square-foot, six-floor Office Renew renovation with a “one-size-fits-one” approach to design. Our vision is to offer a dynamic mix of settings that reflect JLL’s unique culture and provide our diverse talent with the flexible, agile workspace options they need to thrive into the future. The task is momentous, affecting 1,500 employees in Aon Center. Why take on such a challenge when the space was already visually compelling and highly functional? Because we know that bold workplace transformation, backed by data-driven research, will fuel powerful productivity and performance benefits into the future. Workplaces that win will be those that connect individuals and teams to make companies competitive — and they’ll be less tethered, more agile, and far more flexible than ever before. Research has shown that organizations that successfully connect and engage employees yield nearly 150 percent higher earnings per share when compared to peers. Furthermore, companies that actively develop their culture return 516 percent higher revenue and 755 percent higher income. Flexibility is also key to winning the war for talent. According to a recent WorkplaceTrends.com survey, 7 out of 10 HR leaders use workplace flexibility programs as a recruiting and retention tool. The workplace itself must support this new approach to work. Cafe booths in JLL’s refreshed HQ. Image courtesy of JLL. Engaged thinkers and productive doers. A people-friendly workplace that’s comfortable (without being tired). An atmosphere of opportunity. Those are ready rewards when you provide people with options to work where they will work best, and the sense that those options are worthy. Every organization has its own character—and individual characters, too. The best workplaces bring a company’s culture to life in a way that shapes the culture as a whole, while providing individuals with places to do their best work. These days, it’s not unusual to have four generations represented at a single location. That means there’s no single, “right” workplace that will move all these personalities to engage each more deeply with the brand, so we need to offer options and individual choice. A recent survey found that 74 percent of workers consider thinking, talking, and brainstorming to bring the most value to an organization; at the same time, only 24 percent actually reported spending most of their time on these activities. Instead, employees generally spend most of their time on e-mails, phone calls and formal meetings—activities considered lower value, but encouraged by traditional office configurations. Explore ways to use the physical workplace to drive high-value behavior; invest in activities you value; and steer employees away from those you don’t. When we set out to remodel our Aon Center headquarters, we began by surveying work practices. This was an enlightening exercise in more ways than one. For example, we had previously estimated that employees were mobile 30 percent of the time—but seat sensor data confirmed most people spent close to half of their days away from their desk. Moreover, roughly 25 percent said they would like more opportunities to interact with colleagues in other departments. From this scrutiny, we gleaned insights to craft the vision of a new space, one that would champion connection, choice and agility. Like any winning recipe, today’s great workplaces are those that smoothly balance ingredients to achieve the most effective combination. Cubicles are over, but so are perimeter offices and desk-ownership. We want employees to see themselves as members – not owners – and use the entire office as a productivity tool. Start with a strategy that focuses on creating “workplace experiences” and then deliver a design that makes those experiences memorable. A truly forward-looking workplace incorporates elements like personal work booths and activity-based work areas, different-sized meeting rooms, informal ‘collaboration zones’ and purely social areas like cafés. Strike the balance that best suits your organization’s needs. At JLL, for example, we discovered that more than 80 percent of meetings take place with two to four people, so our design ensures an ample supply of reservation-based huddle rooms for small groups along with the two-story configurable Club space where employees can work together or alone—with the help of a friendly barista. Opt for adjustable-height desks and chairs that can be moved around easily to create collaborative space on a whim. Other flexible furnishings include cushioned filing units that double as informal chat chairs; adjustable-height monitors; and sound-absorbing privacy panels that can move up and down with the desktop to support more focused work. People come in all sizes and shapes, so why shouldn’t your desks? Often used as a synonym for environmental practices, sustainable workplace design actually goes much further than purely green. For example, features like automated lighting and personalized temperature control support emissions goals, cut energy costs, and contribute to employee comfort all at the same time. Sustainability initiatives can also support more intelligent infrastructure and better use of space, saving even more energy and fueling productivity. That’s a good thing, considering that a Jive Software study found that technology-driven flexibility supports employee retention. Nearly three-quarters of employees would like more technology that enables them to work anywhere, and the same proportion report that freedom to try tools makes them more effective at work. Video-conferencing; “first-ring hunts” that track the worker to their desk or cell phone; smart whiteboards; and easy-to-reserve meeting rooms, for example, all contribute to a more flexible workspace. Workplace fads like beanbags and pool tables aren’t a good fit for every industry — or every person. But one trend you can expect to stick: the demand for flexibility and workspaces that meet individual needs. After all, in our changing world, standing still is no longer an option and diversity is widely recognized as a contributor to business success. Why should we expect one office configuration — even a beautiful, modern open office — to be right for everyone? We don’t want our workforce to be one-size-fits-all, and our offices shouldn’t be, either.